Hope you are having a great time coding hard. Here I present to you a Utility tool - StopStalk which will encourage you to keep your algorithmic progress going by coding with your friends and improve. It retrieves your friends’ recent submissions from various competitive websites (CodeChef, Codeforces, Spoj, HackerEarth, HackerRank, Timus and UVa Online Judge) and shows you in one place. You can add friends who are already on StopStalk or you can also add a Custom User and start coding collectively by keeping a close watch on your algorithmic progress as compared to that of your friends. If you want to increase your Custom User limit, you can share your StopStalk handle and you can get 1 extra user for every 3 users who register with your handle as Referrer’s StopStalk handle. The goal is to involve more and more people to Algorithmic Programming and maintain their streak. We would be happy to hear from you - bugs, enhancements, feature-requests, appreciation, etc. In the end - Stop stalking and start StopStalking! A great tool for the likes of me. It will solve the most basic question - which q’s to solve? But, there should be a history option that may show us the coding streak in the past( so that we can follow great coders). Niceeee, you just made my work easier ! We have reached 92 registered users with 91000+ submissions in the database. We gift 5 custom users(instead of default 3) to 93rd user and also the 100th user. Note: To avail this - you need to add valid handles of the profile sites. Thanks a lot guys! We got 100+ registered users and also 100000+ submissions in the database. Refer more to get people on StopStalk and have a cumulative database of awesome problems. It seems like some one can send friend request to themselves. I am not sure whether it’s a bug or not! This is what I did : I opened my profile with out logging in and clicked friend request button, then it redirected to login page and after log in, I got a friend request. Nice tool for a programmer. Must check this one out. 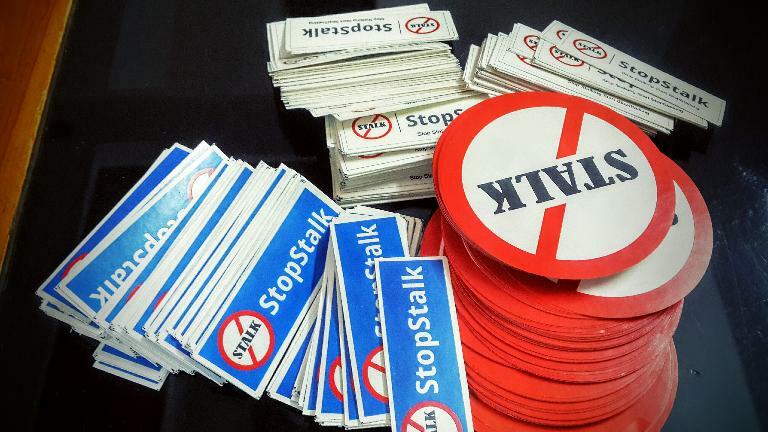 No more stalking needed, StopStalk is here! Thanks man! I’m definitely going to recommend this to my friends in college. Amazing tool buddy!Keep up the good work! Crazy for Laptop Stickers? - All you need to do is add more and more friends to your network and you get more stickers. Wow amazing! I has everything including contest calender too. !Great Work ! Awesome work. Very nice UI. My work beacame easier Great tool !! Hello guys! Thanks for your love and support!